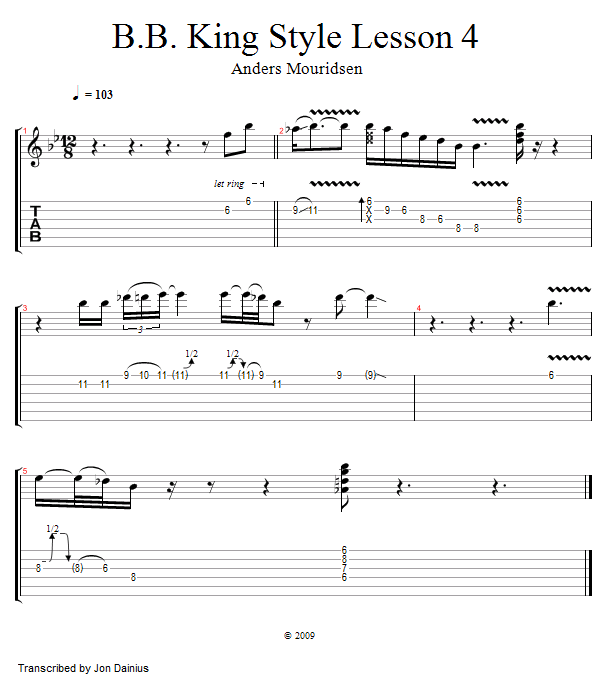 In this video, we are going to look at another lick that utilizes many of BB Kings' signature sounds. These include the root-to-root slide, his chicks-n-fills, as well as his great use of space between the phrases. At the end of the lesson we will jam together using this phrase along with some ideas of your own. Let's play!